Mi Account Removal Tool- Hello viewers if you are looking for Mi Account Unlock Tool to Bypass Mi Cloud Verification of your Mi Phone. Then, you are reading the right article. Mi has gained a lot of popularity and users in the past few years especially in Asian countries because of its cheap pricing with high specs. Mi uses to provide a lot of features in very budget phones and these phones compete with high-budget phones. Features like custom MIUI Based Rom with great customization options. And one of the best features is the Mi Account which helps you to track your phone, Backup your contacts and call logs. And it also adds a new security feature like FRP. This feature is very helpful if your phone is stolen. Then without a password, no can use your phone even after hard reset. But sometimes this feature is a headache. As we don’t need Mi Account elsewhere, Many people forget the password of Mi Account. And when that happens they cannot access there own phone. But don’t worry, I am gonna tell you every possible way to solve this problem. 1 How to Reset Password of Forgotten Mi Account? 2 What is Mi Account Unlock Tool? 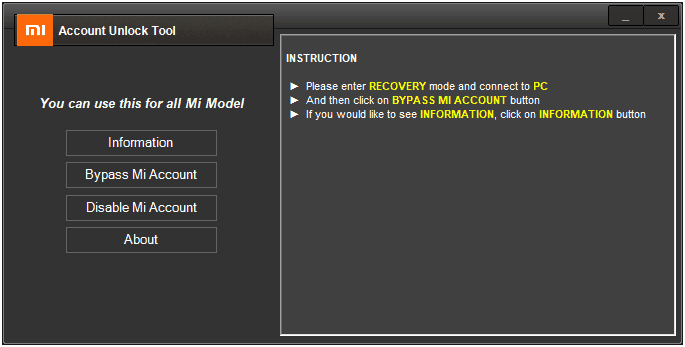 5 How To Install Mi Account Remover Tool? 6 How To Use Mi Account Unlock Tool? 6.2 Uses of Mi Account Unlock Tool. How to Reset Password of Forgotten Mi Account? Suppose, You do not remember your password and you want to shift your data to another Mi Phone. Or you have formatted your Mi Phone and now you are stuck on first boot. There you will get an option to reset your password. But if you don’t have access to your recovery mail or mobile number. Then, it will be very hectic for you to get access to your phone. In that case, you can use the Mi Account unlock Tool for P.C. Please note that by using this tool, it will not void your warranty but you will lose all your data. It is just a very small tool for P.C windows to bypass or remove your Mi Account from your device. This tool is very small but very useful for Mi mobile users. This Mi account removal tool helps you to remove bound Mi account from your device. So, whenever you hard-reset your phone and you stuck on the step to verify your old account and start your phone. With the help of this tool, you can remove or bypass from any Mi Mobile. But here in this article, I am providing you with a bonus. And that is a second tool which can even remove FRP Lock provided by Google. You can use Mi Account removal tool only in your Windows P.C. So, if you have a MAC device, then you have to borrow a windows machine from someone. And in Windows Mi Account bypass tool works on Windows XP/ Vista/7/8/8.1/10. Here, I am providing you with two different Mi account bypass tool. I am going to tell you how to use both tools one-by-one. How To Install Mi Account Remover Tool? Download Any of the account removal tools from the link given above. You will notice that these files are RAR file so you need WinRAR to extract them. Now, follow the exact steps mentioned below and get rid of this problem. Follow The above steps to download and install Mi Account removal tool. Disable any anti-virus from your P.C and turn-off your Windows Defender. Now, Switch off your phone. 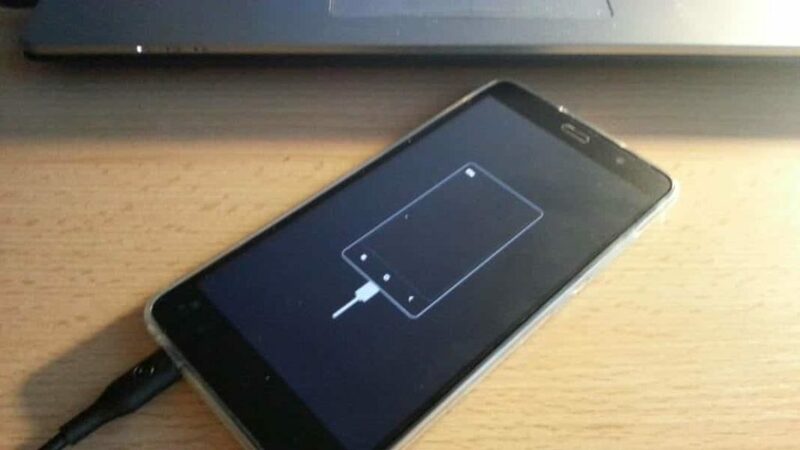 Once you enter into recovery mode, connect your phone via USB cable to your P.C. First of click on Information To check that the application detects the phone. If the application is unable to detect your phone, then install proper usb driver in your P.C. Now, Choose any option Bypass or Disable Mi Account. After that just wait for a while until the process is completed. The Device will restart automatically when the process is completed. Now you are all done and you have successfully unlocked or removed the Mi Account. Now simply complete the process of the first boot without any Mi Account Problem. If you did not understand this Process, Do not worry. Here I am also providing you with a full video step-by-step tutorial. This video is about the factory reset but it also tells you about Mi account bypass. So, just watch the videos carefully. Uses of Mi Account Unlock Tool. If you are someone like me, then you are going to use this tool very regular. As I use to keep testing new features, Custom Rom and I also use to forget Mi account password. By the way, Mi account is very useful. You can backup all your important information on Mi cloud. You can also remotely secure your phone if it’s lost/stolen. You can backup messages, call logs, wifi passwords and many more. Many services like the Mi Cloud and many more require the details of your Mi account. So, if the account is not in the working condition, you will really fall into trouble. Further, if you have to utilize all the facilities and features of your handsome Mi phone, keeping your account prim and proper is a must. Follow the above-mentioned steps to bypass the Cloud account of your Mi phone. For clearing doubts or if you get stuck in any step, please let us know in the comment section.